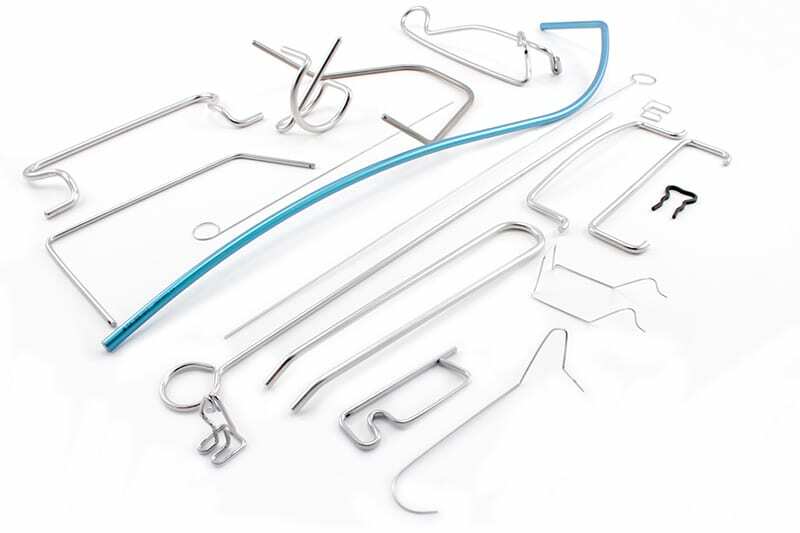 At James Spring & Wire, it is very common for our customers to come to us with fully designed parts and all we have to do is determine the most effective tooling and find the best shaping process. That being said, not all of our customers have their required design completely ready, and that’s okay. Our engineering department has a wealth of knowledge, experience, and expertise about precision wire forms that can help fill design gaps. From prototyping to manufacturing, our team of engineers can help with design assistance and then verify the functionality of the final product. Whether you are just looking for design tweaks or need more extensive recommendations, our goal is to ensure that your wire forms are performing the way they should be. Taking the time to have samples created and tested often saves both time and money. Available in a range of materials, precision wire forms can be manufactured to specific angle and length requirements with our in-house high-speed, four-slide machines and CNC wire formers. These automatic machines allow for precision accuracy as well as repeatability for any volume order including the ability to easily create prototype samples in order to test designs before a full run is ordered. We actually recommend a sample to be completed first because this can save our customers money in the long run. By doing this, it allows for design changes or tweaks to be made before the order run begins. Our years of experience combined with the ability to engineer parts in-house gives us the opportunity to help customers identify potential design issues before they even arise. 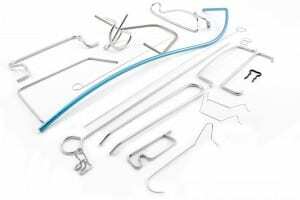 Contact us about your custom wire forms applications and our experienced engineers can help you find the ideal solution for your application. If you already have a design finalized or in the works, we accept designs in the following formats .DWF, .DWG, DXF, FBX, JPG, PRT, SAT, TIF, and PDF. Rather than finding out a part isn’t going to be perfect after a full run has been completed, packaged, and shipped we can help you work the kinks out before a production run gets off the ground!